As a social worker focused on helping children, Alice Washington seeks to give them whatever they need to grow and develop. When she and her husband, Ed, sent their daughter Laura '01 to Westmont, they wanted the same kind of opportunities for her. "We had her for the first 18 years and were delighted to see her grow at Westmont," Ed says. "It meant so much to me that she became a passionate and mature young woman there," Alice adds. "Westmont contributed greatly to that outcome. She had the kind of experience I hoped for - an excellent education that developed her character." Laura majored in communication studies, served in student government, wrote for the student newspaper Horizon and spent a semester in San Francisco with the Urban Program. She works as the human resources supervisor for Enterprise Rent-a-Car in Seattle. The Washingtons appreciated Westmont from the very beginning. "The Service of Commitment at Orientation helped me understand the kind of community Laura was entering," Alice says. "We were invited to a luncheon to learn about multicultural programs, and the college's commitment to multiculturalism meant a lot to me." Ed lost his wallet during Orientation; to his delight someone turned it in with everything intact, including a lot of cash. "That said a lot about Westmont," he says. Ed and Alice have made a provision for Westmont in their will and belong to the Wallace Emerson Society. "We've always been proponents of Christian education," Ed says. "I want to do everything I can to support Westmont." Alice agrees. "Education is an important value in our family, and Westmont provides the kind of education we want to see promoted and passed on for more than the fortunate few," she says. Ed retired after nearly 29 years as a sheriff with Stanislaus County. A licensed clinical social worker, Alice works for a non-profit organization that helps foster children and parents and facilitates adoptions. 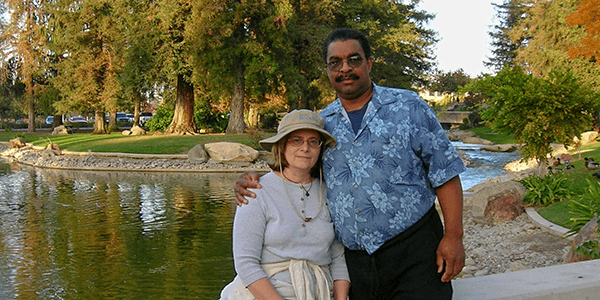 They have two other children, Julia and Jeremy, and a grandson, AJ, and live in Modesto, California. Reproduced with permission from the summer 2007 issue of the Westmont College Magazine. For more information about ways to include the college in your will or trust, please contact the Office of Gift Planning at (805) 565-6058 or giftplanning@westmont.edu.